During the production of our internal game project at DreamSocket, I started creating a tool to bridge the gap between the new audio Mixer technology in Unity5 and the audio clips themselves. The mixer and snapshots features of Unity5 are brilliant for designing your sound in a scene – everything you could ever want to really bring the sound design of your game to life. 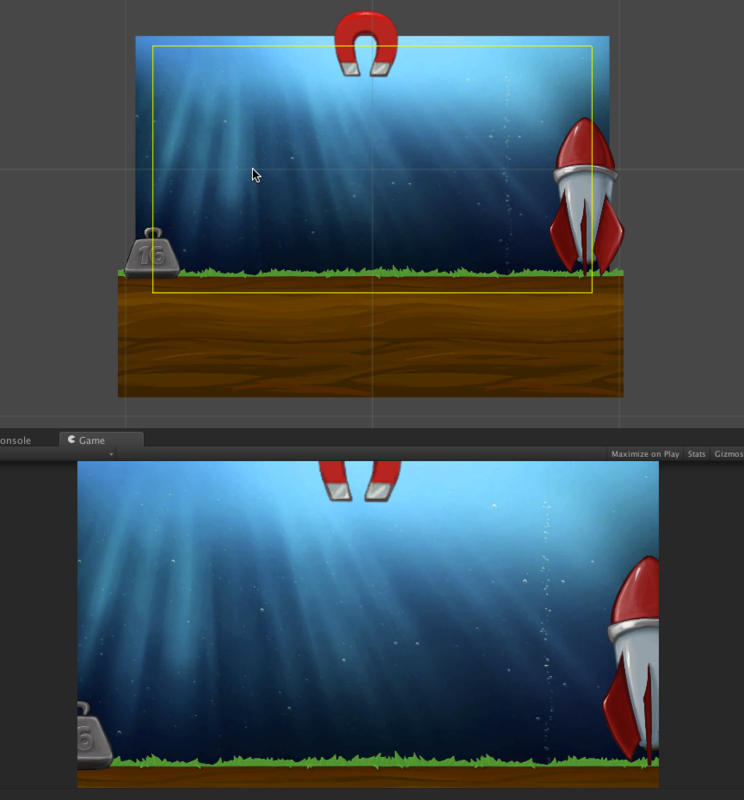 The problem is, and has been for along time with Unity, how to manage a scene’s audio clips? These are clips that *have* to be added to an object or scene physically rather than programmatically. I say *have* to, but that’s really not the case from a developers point of view. We can add sound and design the sound programmatically to our hearts content. The problem is, we’re the ONLY ones who can work with the sound in a scene at that point and a sound designer is essentially at our mercy to implement his work accurately. And to be honest, doing sound design with a “listen/stop/adjust code/play/repeat” model isn’t going to probably yield the best results. Being able to mix and manage at design time in the editor is by far a much better solution. This is where SoundCanvas comes in. SoundCanvas is not only an audio API for controlling your game’s sound, but a Unity editor extension that allows you (or anyone else on your team) to design your scene’s audio in a central, easy to use, interface. Currently, SoundCanvas is in development, but our goal is to release it via the Unity Asset Store as a free Editor Extension. So until then, we’d love to hear feedback and reaction to what we have so far. Create a new c# script in Unity and call it “DrawCameraViewFrustrum.cs”. Copy/paste the code below and attach it to your camera object in your scene. 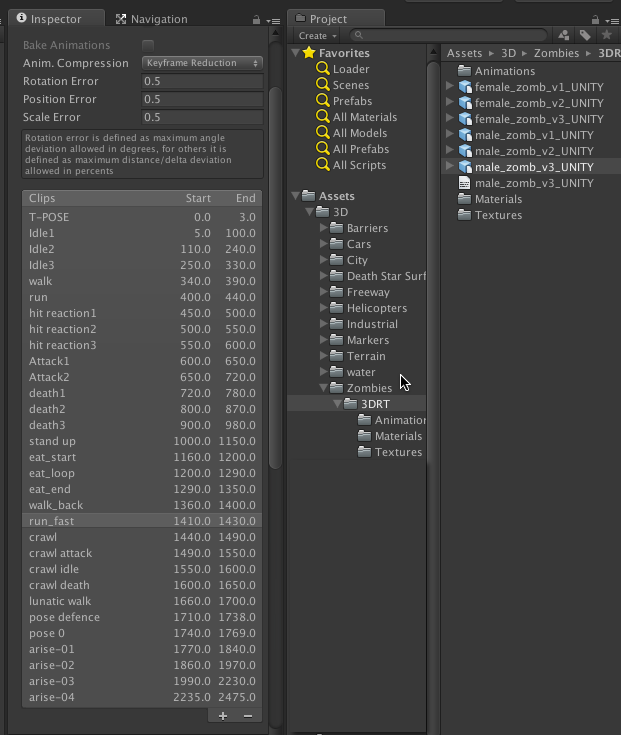 If you’ve purchased a set of 3D models (let’s say, a pack of zombie models) that come with an animation list, then you know what a pain it is to sit and add each animation name/start/end frame in the editor. It’s not always necessary, but in this particular occasion, I had to do it for each model. Thanks to someone over at Automation Systems Group, I was able to use one of their scripts ( with a slight edit for an error due to legacy code ) in the editor to add the animation clips via a text file. Well for the past 2 months I’ve been tucked away working on my first official WebGL project – FishGL (www.fishGL.com, www.fishgl/mobile for mobile)! 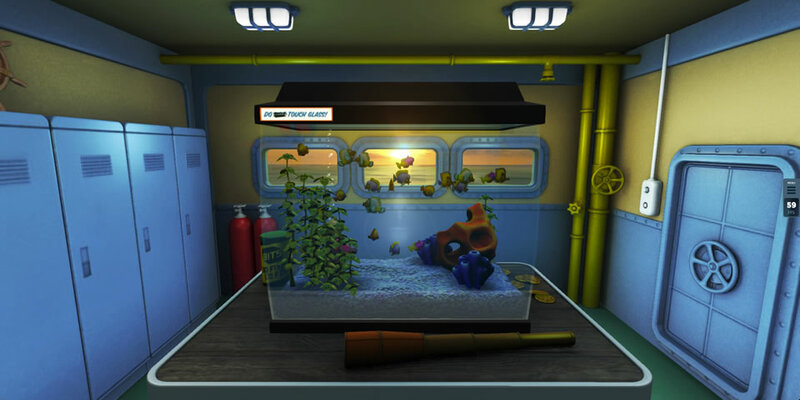 The Internet Explorer team wanted to create a graphics showcase with the classic “fish bowl” theme and enlisted ThinkPixelLab.com to create the experience along with Scott Wetterschneider as the 3D artist. The Fish Tank has many interactive features and elements that bring and rich experience to not only the desktop, but to touch devices as well. In fact, you’ll have the most fun with the Fish Tank if you’re on a touch device since it has features that allow you to pan and zoom around the room, tap the glass, feed the fish and even SWIM with the fish! There’s also a couple of nice easter-eggs for those of you who like to explore. If you had told me 6 months ago that I would be working on a WebGL project, I would have laughed you of my office waving my Unity3D banner! But God has been good and blessed me with some awesome people to work with at ThinkPixelLab.com – namely, Robby Ingebretsen and Joe Fillmore. Super cool people, extremely talented in what they do and very patient! If you’re interested in creating 3D WebGL content, I’d encourage you to look at the Three.js library – the api’s nomenclature and approach is right inline with other technologies like Unity3D, so getting up and running is very easy. [tweetmeme source=”neoRiley” only_single=false] All the Three.js samples I found were all using the same technique of just passing the image URL’s in an array to ImageUtils.loadTextureCube() , and used whatever it returned as the necessary texture for a environment, reflection or refraction map. Well, I’d written an AssetManager to preload all necessary assets for creating our scene, and when it came time to assemble the reflection map, I had to dig through the source code to see what ImageUtils.loadTextureCube() was actually producing and how. Ok, I know videos are only so good and you probably want to try the real thing – I get it! It’s almost there! I just have to clean up a few things to make it not so frustrating because flying the helicopter in and of itself will probably most frustrating 😉 If you ever played Battlefield 1942 with the Desert Combat mod and learned how to fly the helicopters there, this will be JUST like that. I loved flying the helicopters in that game – and ever since then it’s just gone down hill. They keep putting baby controls on the stupid things and it just ruins the cool factor IMO. Yeah it was hard to fly, but once you got it, you owned just about anyone and everyone in the game. If you saw the earlier post where I had an industrial area, you’ll notice that this time the scene is completely different. I wanted to play with the different shaders and post processing affects and after playing with Goo I was inspired to recreate the scene I’d created there, here. Goo definitely makes it a million times easier to achieve this look (another post for another time). The floor is a mirror which has a nice subtle smoke / noise map and the only effect I applied was a vignette. The performance so far is good at 60fps, but after adding the skyscrapers it’s starting to show signs of hitting the performance cap. I promise – I’ll get the link up soon for you guys to try!